Vincent Van Gogh and some modern day Aussie ingenuity …. With Tasmanian wine gaining in recognition around the world, over the past five to ten years there has been many new winery start ups in the state. 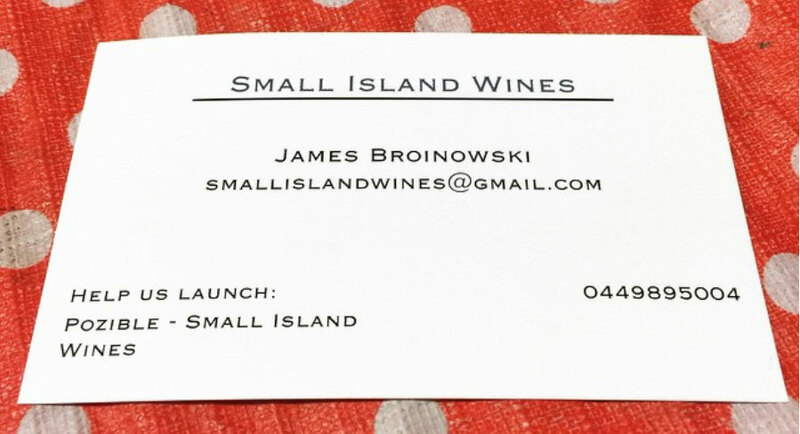 Perhaps none though quite like James Broinowski’s Small Island Wine start up which to me is a great example of modern day Australian ingenuity. He wanted to use the funds to buy at least two tonnes of Tasmanian Pinot Noir grapes to make his first Small Island Wine. He received pledges of nearly $15,000 and he did just that. 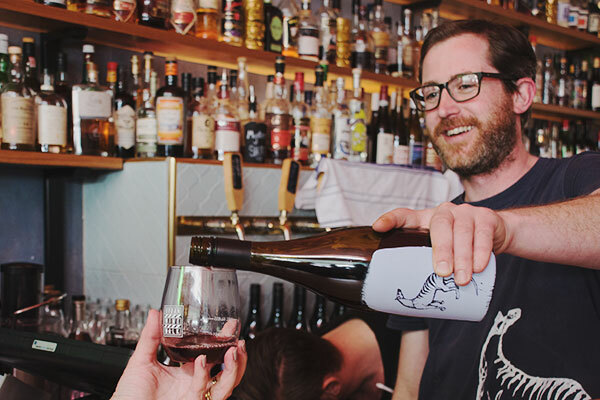 He showed his first release wine, Patsie’s Blend pinot noir rose made in a Southern French style while waiting for his first pinot noir to be ready, at Taste of Tasmania in December 2015 and sold out in just three days. 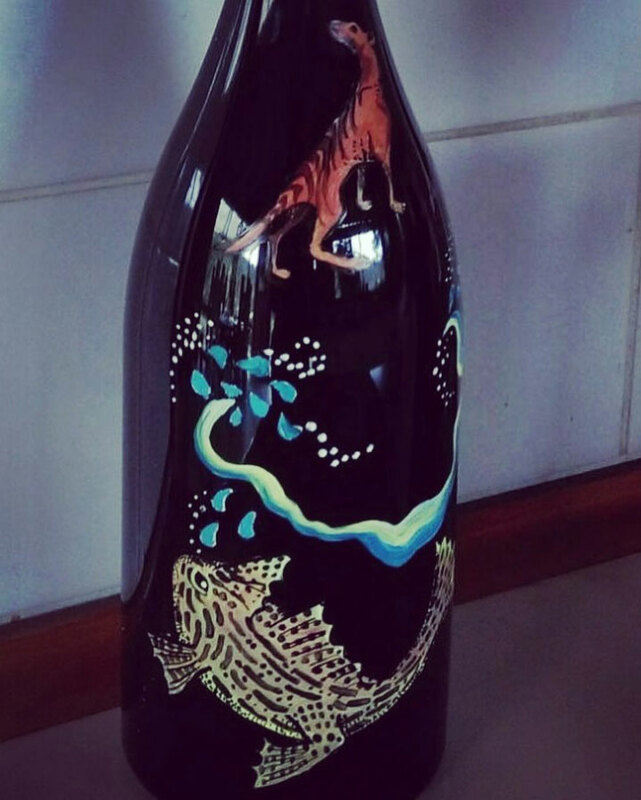 Part of that Aussie resourcefulness has made James’ wine much lauded for their beautiful and unique labels. With a small batch of rose to label, and no labels, he came up with a solution using left over white paint, a gorgeous Tasmanian Tiger designed by his aunt that he could then turn into a self-inking stamp. A distinctive label concept he continues to use for his single site wines. Fast forward just a short time to 2018, and James makes a fine riesling but his love is still pinot noir and he still makes Patsie’s Blend pinot noir rose. 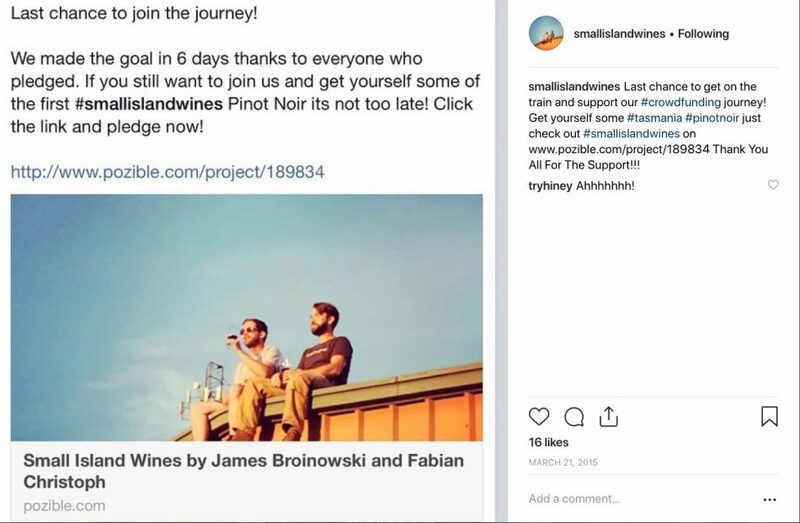 Small Island Wines continues to receive accolades, being named as one of Australia’s Best New Wineries by James Halliday and all of his wines receiving scores in the 90s from Wine Companion, with two of his red pinot noir wines receiving 96 points. He also produces two gins. North – Glen Garry was first planted by Gavin Scott about 30 years ago (hot for Tasmania, grey sandy loam, well drained, owned by my cousins). South – Coal river (Kings Road vineyard, self-managed). Deep South – Salt water river (not released yet). What are your future plans for Small Island Wines? We have some big plans! The goal is to get the volume up to about 60 tonnes, still very small but sustainable. The other plans are a bit hush-hush at the moment, but I can promise they are exciting and a little terrifying. I love Pinot Noir! 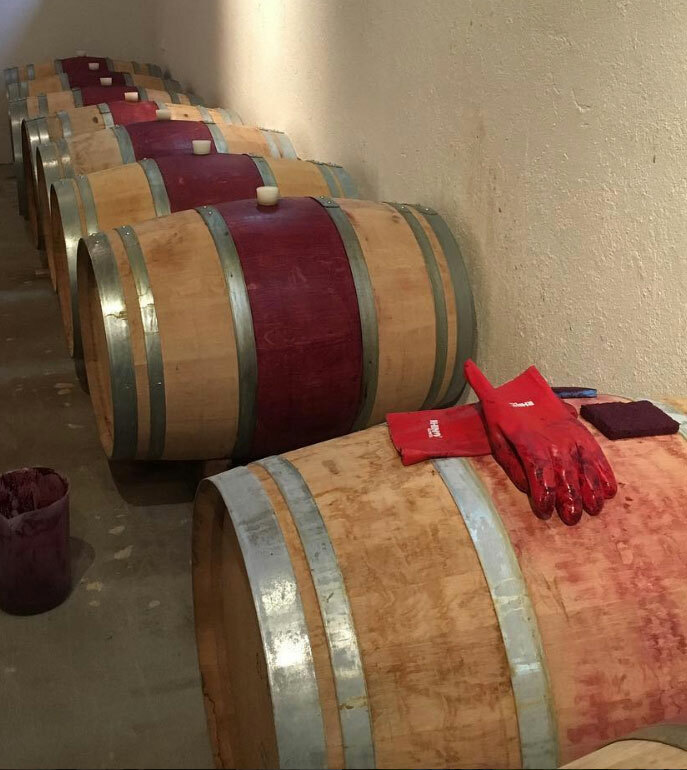 No two wines are the same; the differences of clones, site and season seem to be amplified in Pinot more than any other variety. 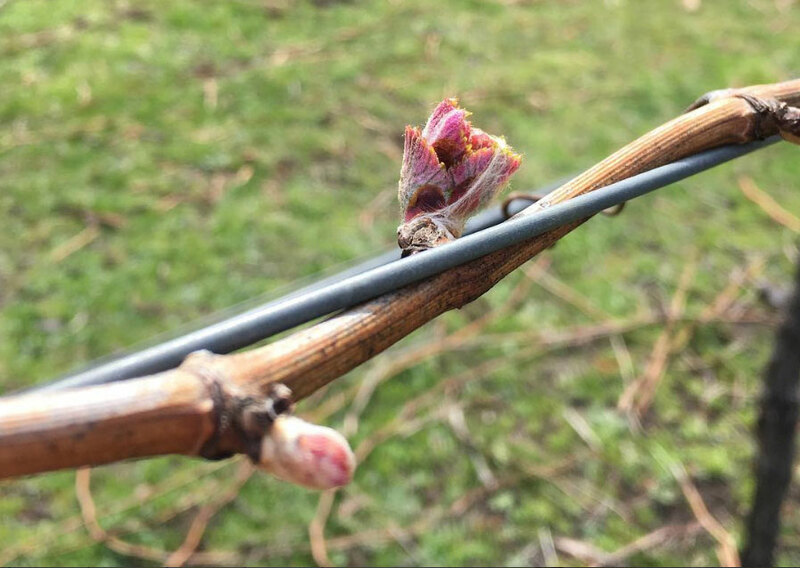 What is the most unusual/challenging grape variety to work with? Pinot might not be unusual but its always going to be challenging! Thin skinned, fickle and delicate but mostly very different from year to year. There is no recipe, you just need to taste and try as much as you can. 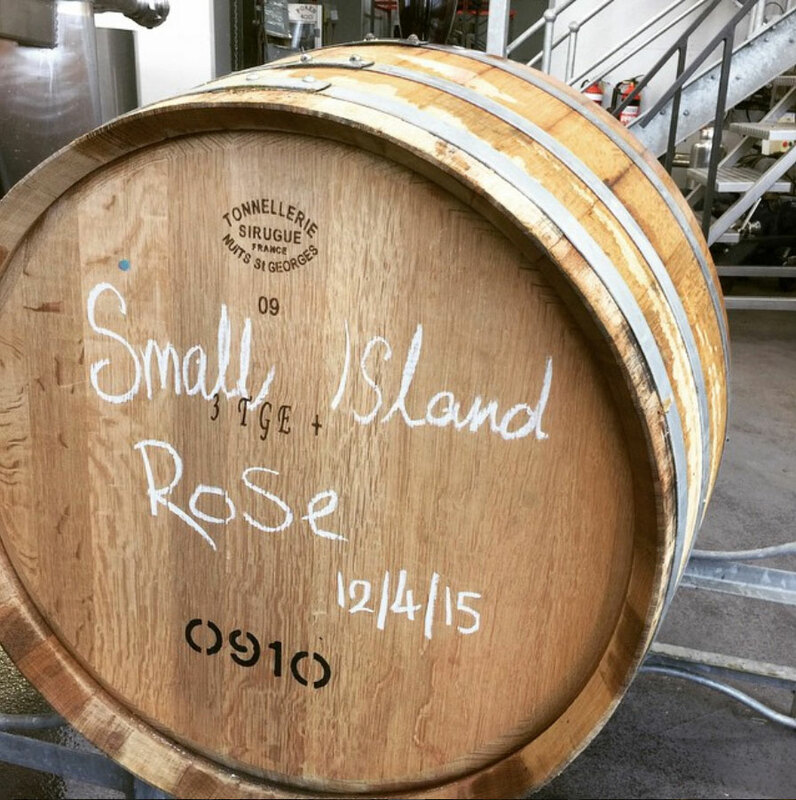 What make ‘Small Island Wines’ so special? What is the story behind those gorgeous labels? 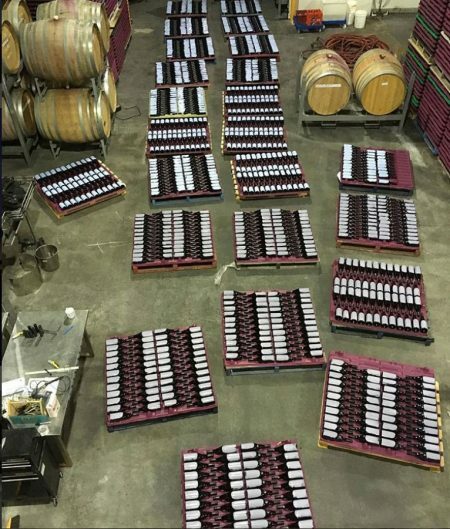 I had a small batch of rosé (200 bottles) in 2016. It is very expensive to print small runs of labels and I was really broke. I came up with the idea of cutting the legal part (Alc, Vol address etc) off the bottom of some extra labels from other wines and sticking it on by hand. For the front, I painted it using some excess white paint from the shed and through some trial and error we made a self-inking stamp that worked for the tiger. These were so popular and looked so good I decided to keep the painted side for all single site wines. It requires lots of help from friends but the result is stunning. Who has been the most influential person so far in your career? I have been very fortunate and mentored by some great winemakers including Andrew Margan (Margan Wines), Peter Althaus (Domain A), Justin Bubb (Pooley Wines) and many more. What is your favourite ‘Small Island Wines’ memory of the past 12 months? When all our wines received scores in the 90s including 2 x 96s from James Halliday. -who would it be? Vincent Van Gogh, in the Café Terrace at Night! what would you talk about? Life, Love and of course, wine…. Due to the small quantities, Small Island Wines are on limited distribution in Australia only. If you want to try James’ wines, I recommend that you add your name to his mailing list so you do not miss out. To read more about Tasmania and its wines, click here. Visit smallislandwines.com for more information on James’ wines & gin.